Rand McNally's folded map for Massachusetts is a must-have for anyone traveling in or through the state, offering unbeatable accuracy and reliability at a great price. 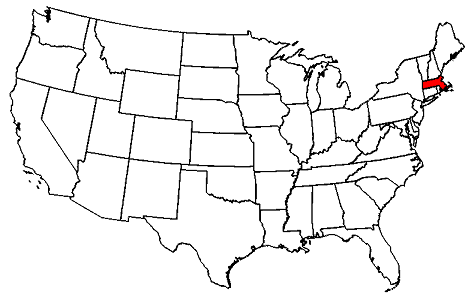 Our trusted cartography shows all Interstate, U.S., state, and county highways and much more. The index is 5.25 pt. The cities range from 6.27pt to 13.53pt. The Points of Interest and Parks are 5.28 pt. The mileage number along the roads are 4.62 pt. The durable and convenient Massachusetts EasyToFold state map will take all the wear and tear your journey can dish out. The heavy-duty laminated design allows you to mark your route, make notes, then wipe the surface clean for further use. This is a must-have for navigation whether you're a state resident or just passing through. 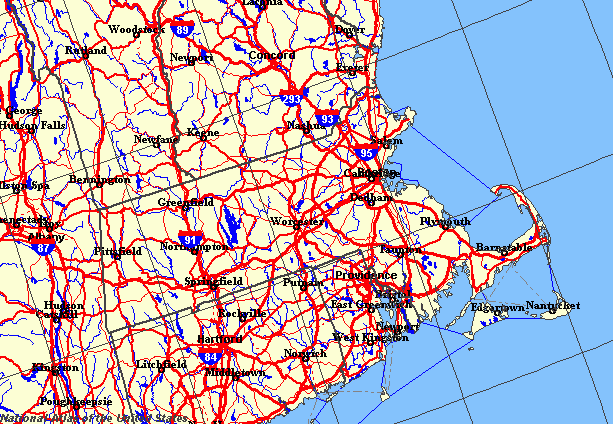 This waterproof map of Massachusetts includes coverage of: Boston and vicinity, Downtown Boston, Lowell, New Bedford, Pittsfield, Springfield, and Worcester; and features Airports, Campgrounds, Ferry Routes, Interstate Exit Numbers, Latitude and Longitude information, Parks and Rec Areas, Places of Interest, Scenic Routes, and Ski Areas. Combining a comprehensive road map with a convenient travel guide, National Geographic's Massachusetts Guide Map is an essential travel companion for all visitors. The main map's road network is complemented by a user friendly index of counties, cities and towns. Clear designations are given for free access and toll roads; interstate, state and country routes; paved and unpaved roads; and scenic byways. Major highways are shown with mileage markers and roadside rest areas. Points of interest, national and state public recreation areas, airports, hospitals, ski areas and visitor centers are all pinpointed. 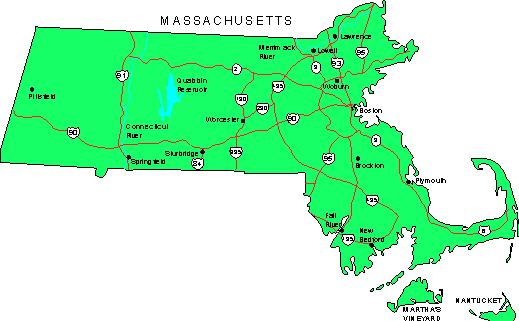 The Massachusetts State fold map is a full-color, regional map, including Detail insets of: Boston & Vicinity, Downtown Boston, Lowell, New Bedford, Pittsfield, Springfield & Worcester; and featuring: Campgrounds, , Ferry Routes, Interstate Exit Numbers, Longitude & Latitude Information, Massachusetts Facts, Mileage Table, Parks & Rec Areas, Places of Interest, Scenic Routes & Ski Areas. New Fifth Edition! 167 Communities. Full color. One map per communtiy. Index on each map. Large-scale map of Central Boston. More coverage than any other atlas. Localities index. Public transportation maps. Eastern MA road map. Places of interest. Shopping centers. Community statistics. Street Atlas of Metro Boston & Eastern Massachusetts. 7th Edition. 167 communities. One map per community. Large-scale map of Central Boston. Full color throughout. Localities index. Public transportation maps. Eastern MA road map. Places of interest. Shopping centers. Community statistics.